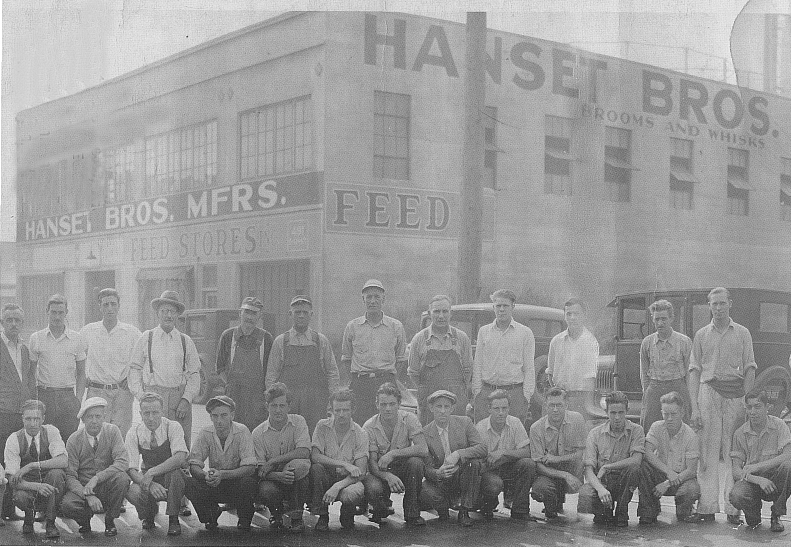 History | Hanset Brothers, Inc.
Hanset Brothers, Inc. was established in 1919 by Leon Hanset to manufacture corn brooms. 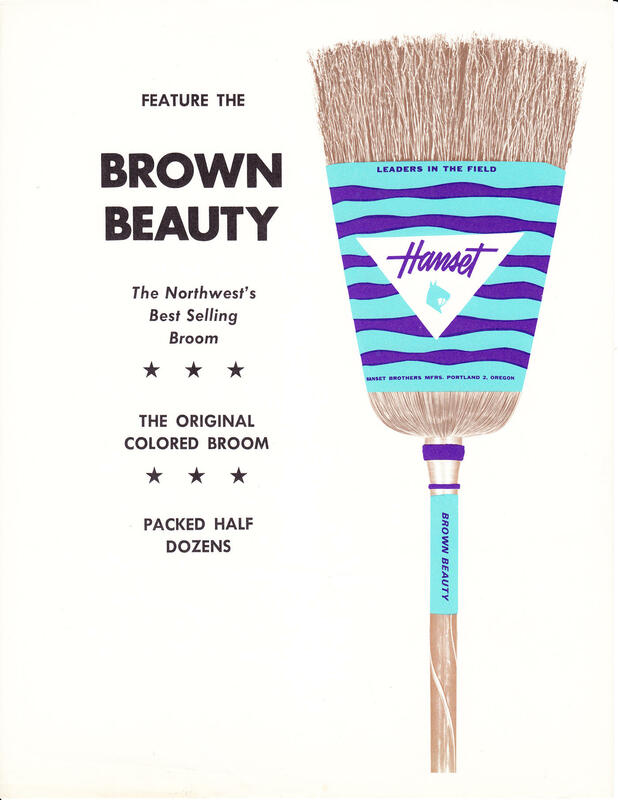 Hanset Brooms were known for their high-quality and attractive designs. As the business evolved and grew, Zimmerman brushes were added to the line, and it became the first line purchased for resale. In a few years time Northwest Converting mops, Haviland squeegees, and Cascade handles were also supplemented. 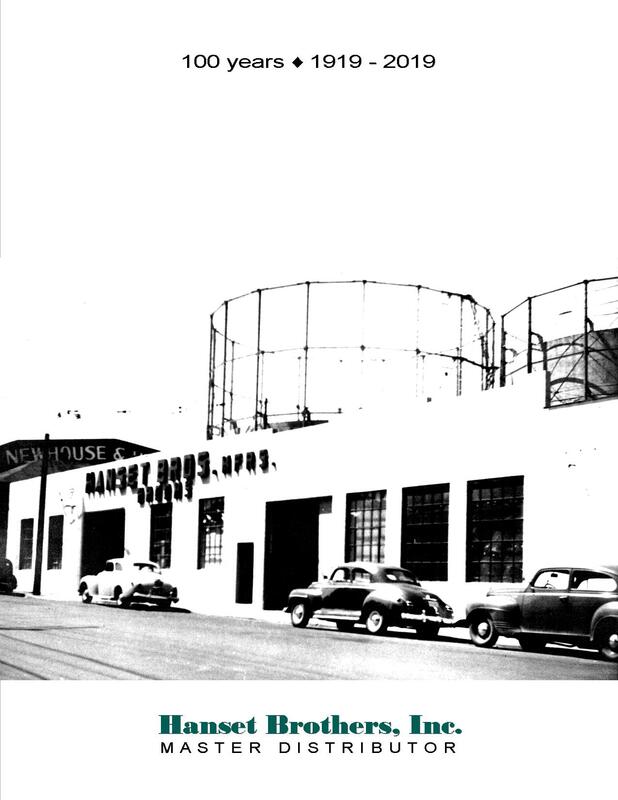 Adding new vendors became regular practice, but our biggest change occurred when we became a Master Distributor for Rubbermaid Commercial Products. With this addition, the redistribution side of the business now outpaced the broom manufacturing.